Over the years my friends have asked what brought me to New England from sunny California. I have the same answer though it’s been adjusted for age and audience. For the sake of my blog I will say it was a boy and the dream of becoming a potter. I did accomplish the pottery dream but the boy was another story for another time perhaps. When I left California at 19 in my 1978 Datsun 610 loaded to the roof with my belongings I didn’t know I would not return to California to live. Honestly, I was just up for an adventure and a change of scene. My parents were as supportive as they could be considering their daughter was about to embark on a cross country trip in October when weather could be unpredictable. And then there was all the potential danger ahead. It was not easy to leave everyone I knew and loved and head east to the great unknown. I found humor in the fact that I was, as I’d always done, traveling my own path….head East young woman…head East was the mantra that evolved. I must say that I have no regrets other than I have not been able to participate in my family’s life in the same way I would have had I stayed in California. I have gone home regularly through the years with my children and will continue to do so. My family is incredibly important to me and we truly enjoy spending time together. One such trip was in 2010 when my sister Patti, my brother Jim and sister in law Joanne all traveled to Reno, Nevada for our mom’s 86th birthday. 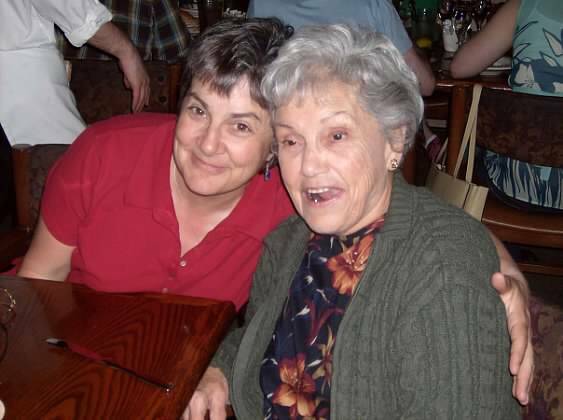 It will be my dear mom’s birthday in 2 days…she would have been 91! The Reno trip was a TRIP and I’ll tell that story only with permission from those involved. 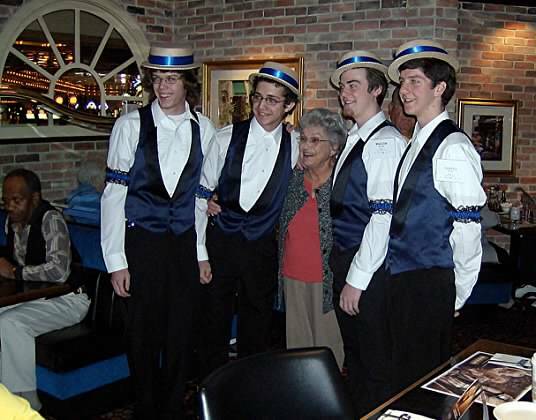 Mom in Reno for her 86th birthday at a barbershop festival…don’t ask it was wild times for a wild woman! So as winter holds on this year in Massachusetts, and continues to deliver more cold, snow and ice I am wondering again how I could have left sunny, warm California at 19. How did I travel across the country to Connecticut, without a good winter coat or boots I might add, and then stay all these years after? It will be a wonderment until it no longer is and I have to say I wouldn’t have wanted to miss any of it. I have three of the most talented, creative, loving children (okay so they are no longer children) and feel blessed to have met all the people I have in this life. I have strong connections to my roots in California and to my childhood friends and my family and for all this I am truly blessed. 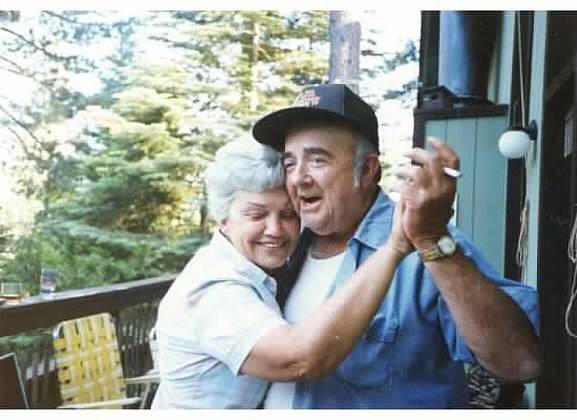 And so Happy Birthday mom I hope you and dad are dancing your shoes off in heaven.